Remember yesterday when I mentioned that we added belly bands to all of our digitally printed wedding invitation suites? 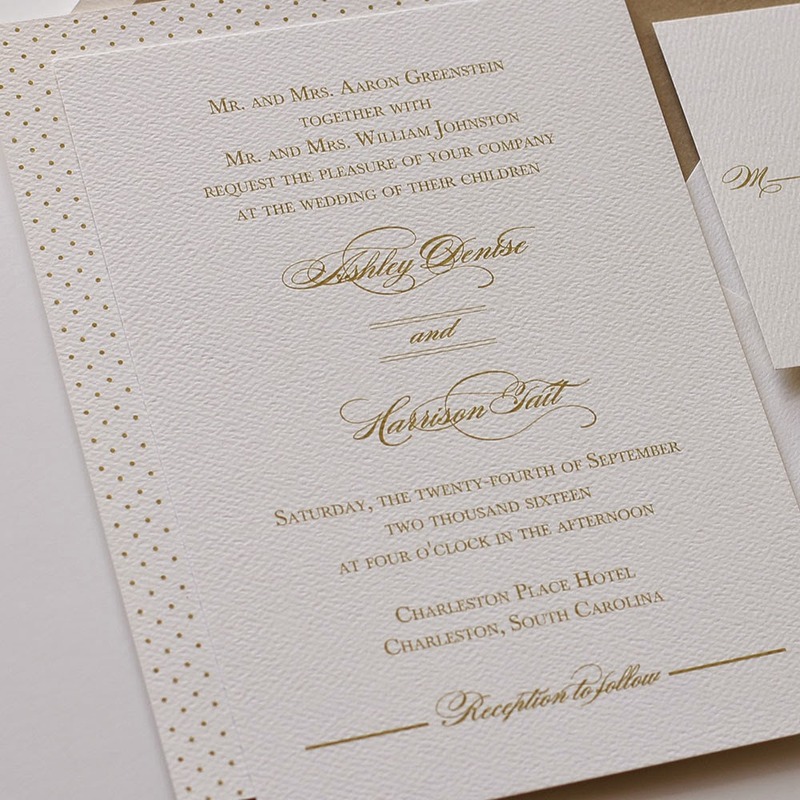 Well today I am sharing the Charleston wedding invitation with you. I absolutely LOVE the option to add the double sided printing to this invitation. 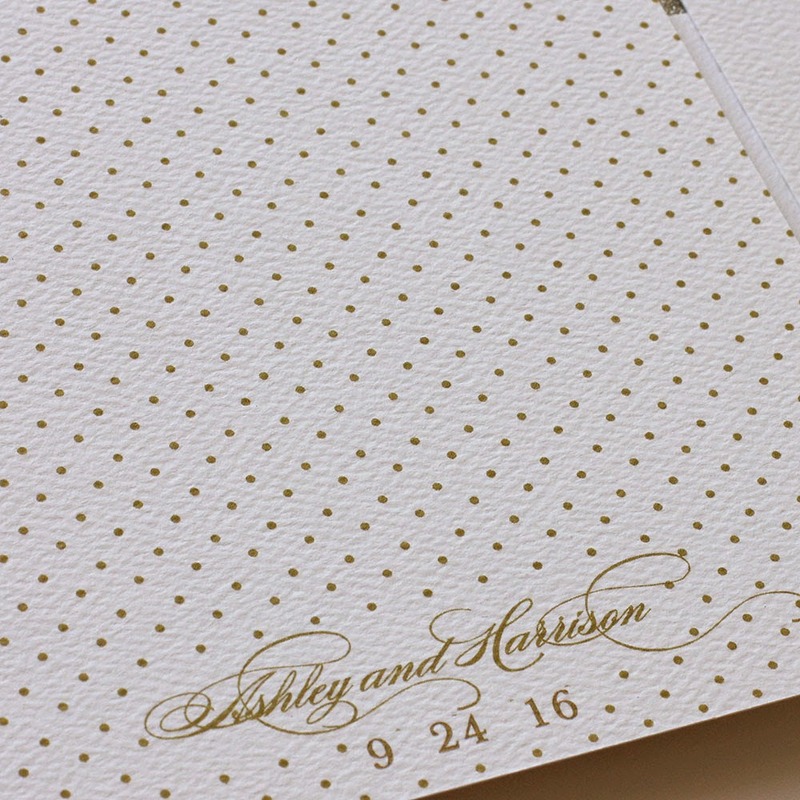 The mini gold polka dots with the couples names and the date are certainly charming! 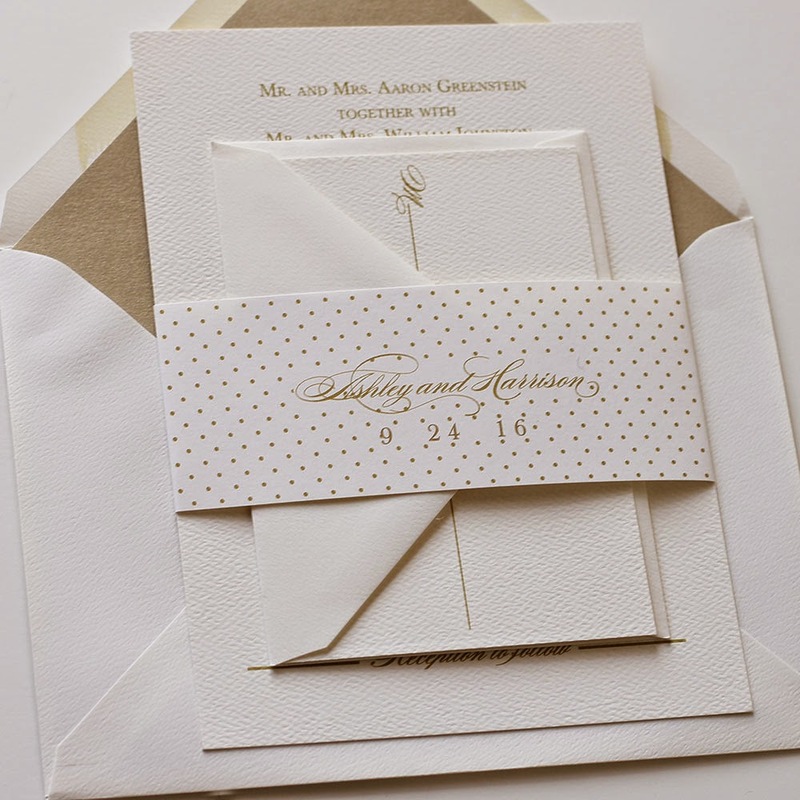 While I am a sucker for gold wedding invitations, I most definitely am a sucker for mini gold polka dots! The classic tone on this invitation suite lends itself to everything from ballroom weddings to a back yard wedding with a rustic feel... especially when printed in gold! And here is the belly band that is now a standard addition for our Charleston wedding invitation. 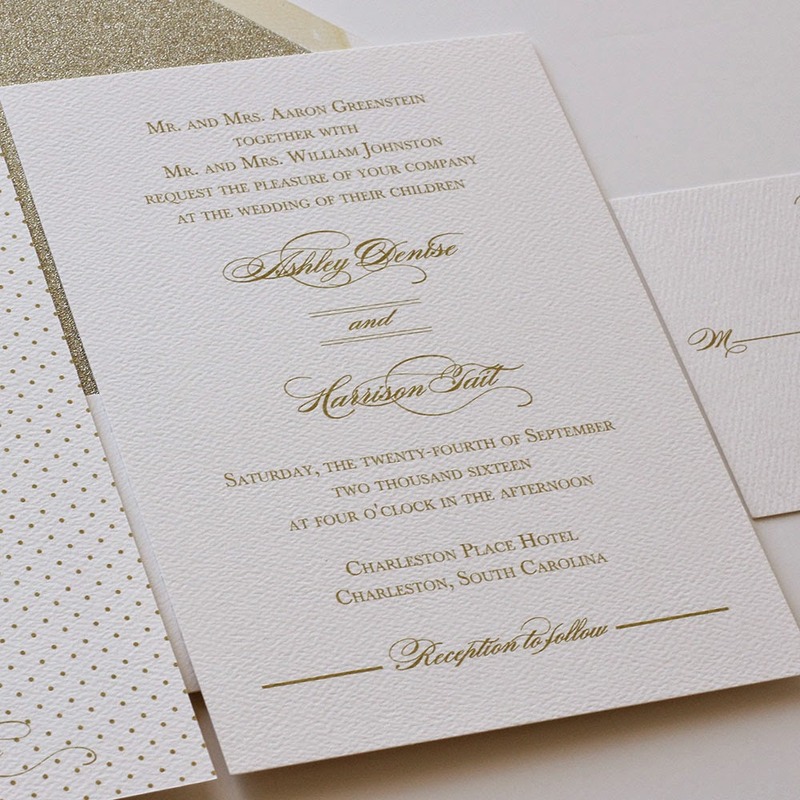 The suite is shown above is printed in gold with the metallic gold leaf envelope liner. However, just like all of our suites, it can be customized with the print color, wording & font of your choice.